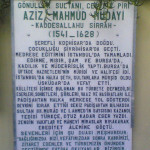 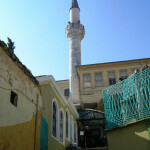 The Aziz Mahmut Hudayi Mosque was built in 1594 by Ayşe Hanım Sultan, the daughter of Mihrimah Sultan and the Grand Vizier Rüstem Paşa, for Aziz Mahmud Hudayi who served as Qadi in Edirne, Egypt, Sham(Syria) and Bursa. 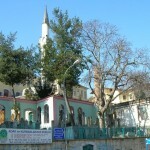 The Aziz Mahmut Hudayi Mosque was built in 1594 by Ayşe Hanım Sultan, the daughter of Mihrimah Sultan and the Grand Vizier Rüstem Paşa, for Aziz Mahmud Hudayi who served as Qadi in Edirne, Egypt, Sham(Syria) and Bursa. 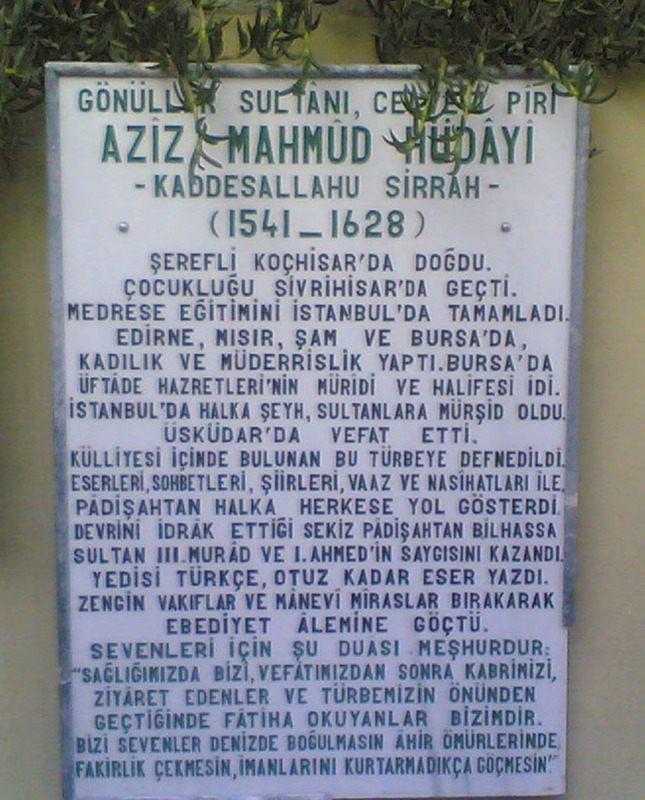 He was a murid and khalifah and wrote about thirty works, seven of which are in Turkish. 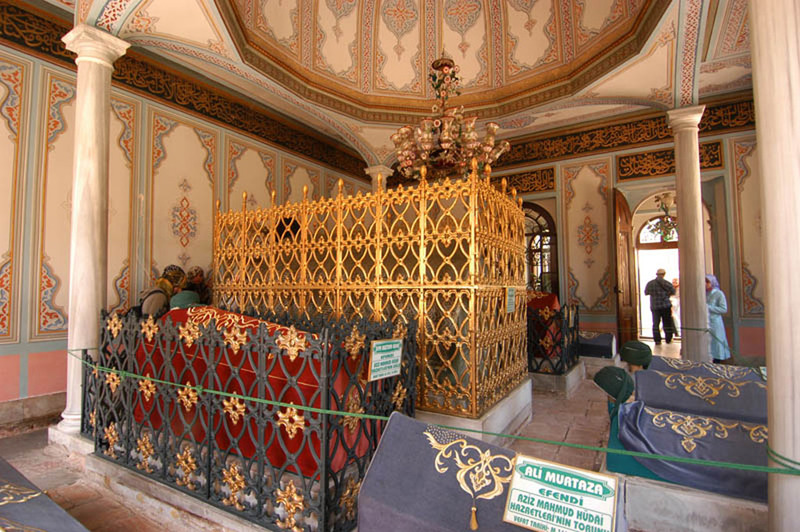 The mosque is part of a complex (Turkish: kulliye) that consists of a soup kitchen, a tomb, a library, a chamber for Sultans, a fountain, dervish rooms, a house for the sheikh and a bakery spread out over a total area of 10,000 square meters. 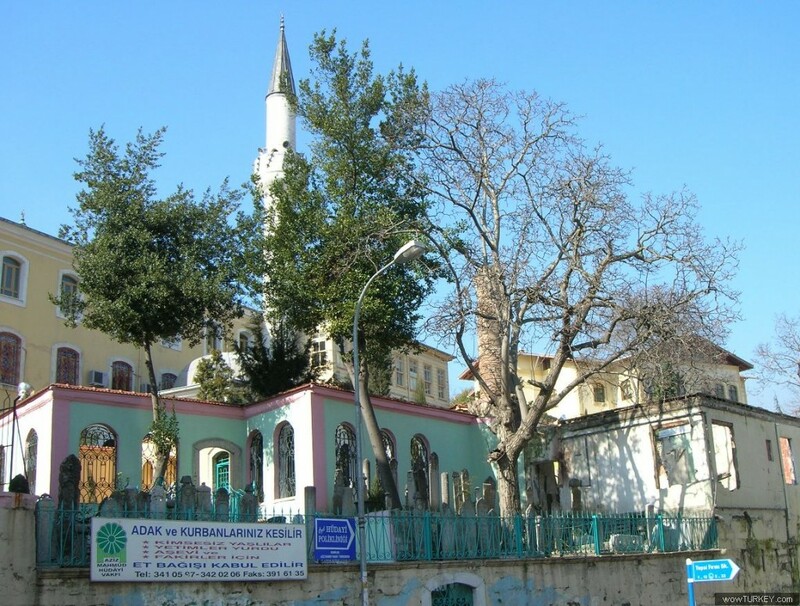 The mosque was built in accordance with dervish lodge architecture, and took its final shape during the reign of Sultan Abdülmecid. 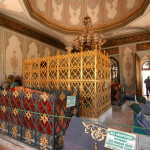 Over the gate of the courtyard there is the ornamented monogram of Abdülmecid. 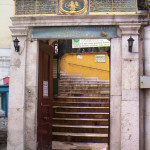 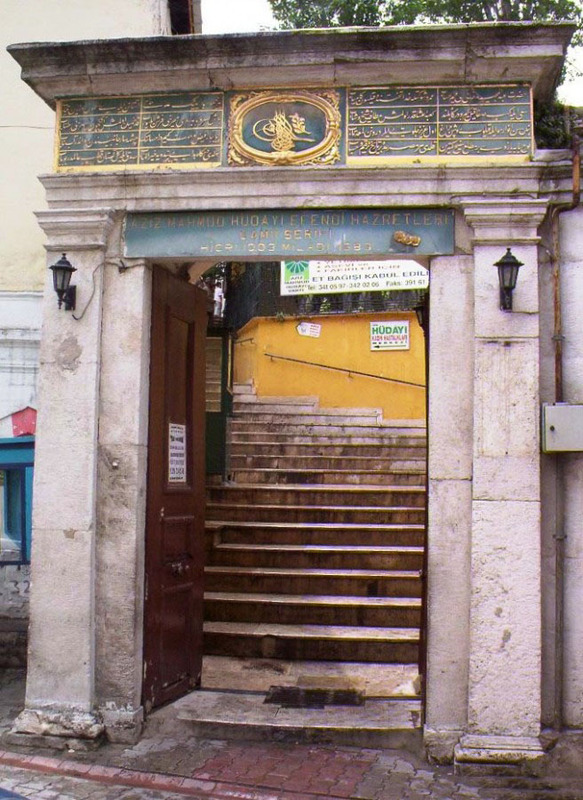 To the right of this gate there is a fountain built in 1724 by Mehmed Paşa, the son-in-law of Nevşehirli Damat İbrahim Paşa. 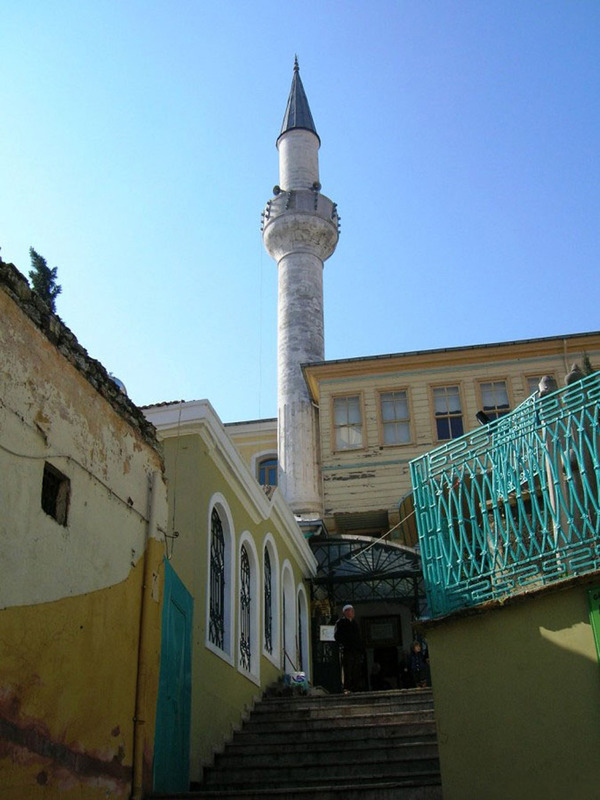 To the left are the Aziz Mahmud Hüdayi fountains, built at the same time as the mosque. 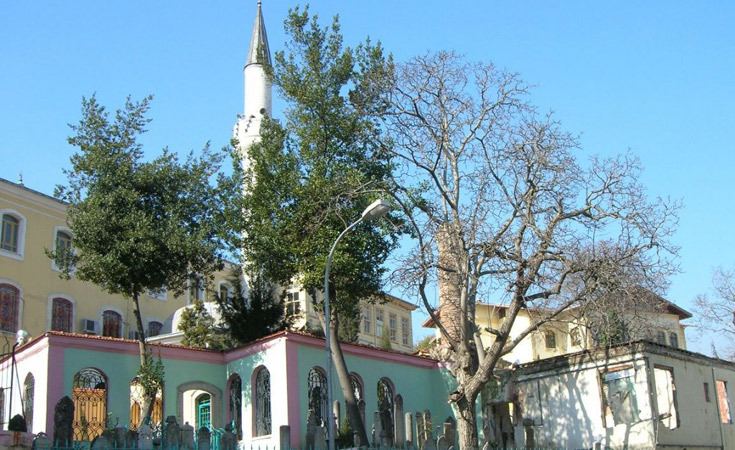 One of the most frequently visited religious sites in Üsküdar, the lodge offers meals to the poor and students, and further organizes meal distribution to the homes of the poor.